So plans for the weekend? Take my dog to the groomer, get my oil changed, do a little grocery shopping, and shoot guns. Yup, you heard me. I’ll be joining my brother-in-law, sister, possibly my mom, and a couple of other people in the family to target shoot. I haven’t been shooting in years, the last time being when I was about sixteen or so. I frustrated my stepdad because when I shot the revolver, I always hit the target a good three inches higher than I was supposed to. Hopefully age will have cured that. We’ll have to see. I’m actually excited about shooting again. It’ll be fun, I think. Not as quiet and soothing as fishing, but hey, it’s still something to do, right? There isn’t much else going on. No rodering this weekend. I’ll have to save that for another weekend, but I’m okay with that. Next week I’ll post the rest of the road trip and the pictures we took for y’all to see. And now for today’s man. It’s a downright shame he has the best bits covered, huh? I mean how are you supposed to recognize him if he’s walking down the street? That handkerchief has got to go! Bwahahaha! Happy Friday, my friends and have a safe weekend! Has anyone seen a new show called Duck Dynasty? 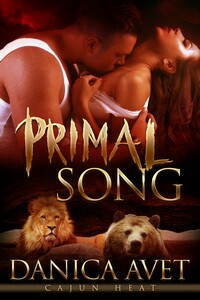 I kept seeing the previews for it while watching Swamp People and it looked hilarious but I always missed it. Well, I saw it last night and trust me, you don’t want to try to do anything else while you’re watching it. My usual habit is to read and keep half my attention on the television. Most of the time I listen to music, but sometimes I’ll put on my favorite shows (mostly reruns) and let them be my back background music. Last night trying to read while watching Duck Dynasty proved to be impossible. Several times I had to stop, but my Kindle down and laugh. Yes, it was that insane. The premise of the show is about this family in north Louisiana (I’ll explain the importance of that later) that’s made their duck call making business a multi-million dollar operation. The problem is the family isn’t what you’d call country club material. Which I happen to love, by the way. The episode I saw was about the CEO and his cousin, I think, playing golf when they should’ve been at career day for their kids. They sent their fathers instead and that’s where the “OMG, They did NOT!” took place for me. Why? Because one father was telling fourth graders about the Vietnam War while the other dad gave an eighth grade class a demonstration on how to dress a live duck. By dress, I mean prepare it for eating from the feathers down. Yeah, there was blood and crunching bones and…yeah, can you see yourself in your eighth grade class watching that? So yeah, I was cracking up. Dying, y’all. Then the cousin who went play golf returned to the course after hours because he saw a pond filled with frogs. He brought three of his relatives (his dad of the Vietnam stories, his uncle of the duck dressing skills, and someone else) and they proceeded to catch frogs for eating. I had to stop watching when the country club security people arrived. Lord help me, I was dying. These people are nuts. They really are. But the thing is, I can totally see my family behaving the exact same way except without the duck dressing skills and Vietnam stories. No, there’d be lessons on how to fillet a fish, how to dress a deer, how to curse at your brother when you’re trying to put up a porch. You know, normal stuff. And I made a point about them being from north Louisiana because in my part of the world we consider people who live north of I-10 to be northerners, yankees even. Everything south of I-10 is cool. We know we can probably trust the restaurants we go into know how to make a proper gumbo, or fried seafood. North of I-10? Eh, we don’t take the chance. So have you seen Duck Dynasty? Do you think you might want to see it now? Well today marks the last day of the fire songs. I had a lot of fun with these and I didn’t have to scramble to find songs to fit the theme! Yay, me! 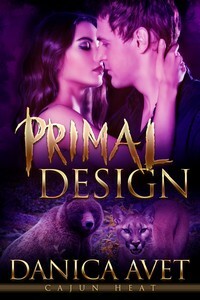 Immortal Love, the first book in my Olympus, Inc. series is supposed to come out next month, so I’ll probably pull songs I mentioned in the manuscript for What’s Playing Wednesdays. That should be fun and I’ll no doubt have to reread my story to make sure I don’t skip any. Today’s song is by a band I’ve played before. Spinnerette is a pretty neat, alternative band. Their song “Baptized by Fire” is one I have to sing along with. I especially love listening to it when I’m in the car because there’s something about the lyrics that makes me picture driving into the sunset. Yesterday I talked about the start of our little road trip. Today I’m continuing with some really great pictures. We left the Sunshine Bridge behind and headed for Donaldsonville. 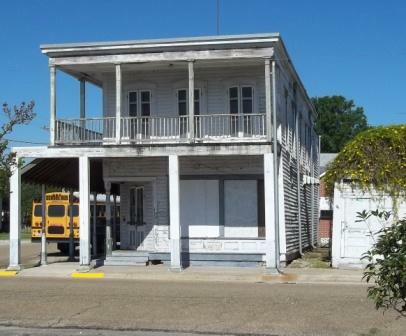 Acadians first began to settle in Donaldsonville in 1765. It was called something else back then, but in 1806, William Donaldson commissioned an architect to build the town. We took a few pictures of the buildings and homes found in and around the area. This was a great old house we saw on our way into town. 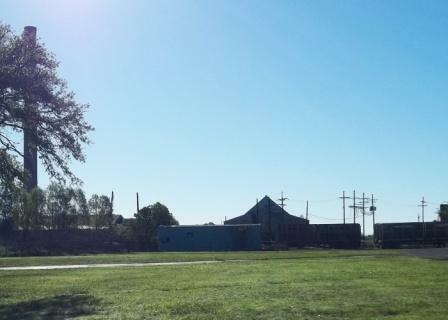 It needs a lot of loving, tender care and money to make it a showplace again. Next on our pictorial tour is the Bank of Ascension. 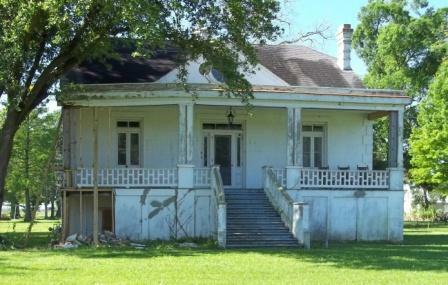 Donaldsonville is the parish seat of Ascension Parish and at one time served as the state capital when New Orleans was deemed “too noisy”. 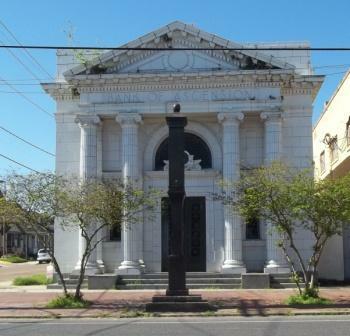 I just loved this building so much and could’ve spent hours staring at it, but Donaldsonville has lots of other buildings to ogle. 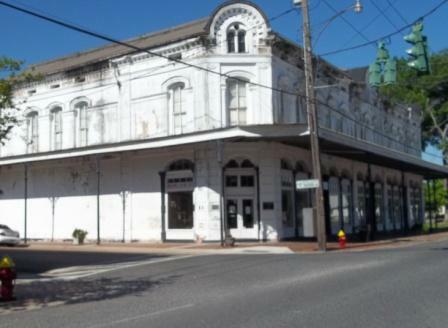 This building was the home of the oldest family-oriented department store in the state of Louisiana, B. Lemann & Brothers. This building was built circa 1877, but the department store seems to have been in operation since 1836. It’s now closed to the public, but it’s pretty darn nice! 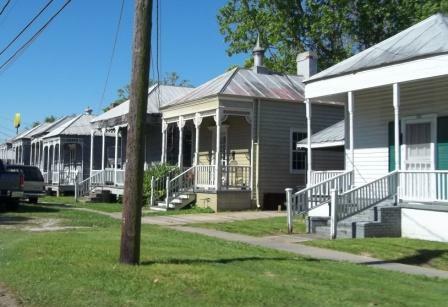 This is a row of shotgun houses. We had to take this picture because I was reminded of New Orleans. The houses aren’t as fancy as those in the French Quarter, but you can tell they’re old and I think they look cute. I’m not sure what this building is now, but we think it was probably some kind of store at one time. Maybe it was even a boarding house or something. The bus parked in front of it makes me think it’s either empty, or used for some after school programs or something. It looks like it was taken straight out of the French Quarter. 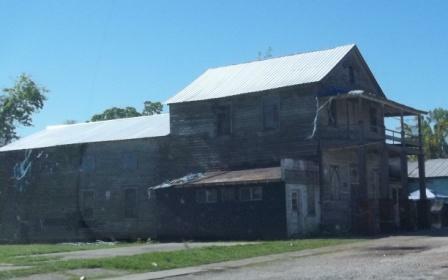 Now this old building had to have been a general store. Look at that steep roof. This one is no longer used as far as we could see, which seems like a shame. The funny thing is most of these buildings aren’t even listed as having historical significance with the exception of the B. Lemann & Brothers building. There’s so much to see in this area, we probably could have spent a week in the area and found something new each time. Stay tuned, I’ll be back Thursday with more pictures! I love to roder. Yesterday, with the sun shining brightly and it not being too hot, I kidnapped my mom and hit the road for a little sightseeing. She didn’t complain at all. She grabbed her camera and was ready before I was. It’s funny really. I had no idea where we were going. That’s the best part of rodering, traveling without any destination in mind. At first, I thought we’d just explore River Road (the highway that follows the Mississippi River), but we ended up doing a lot more than that. In fact, we did so much and took so many pictures, I’m going to do this first road trip in parts. Yes, I said first because we decided we’re going to try to do this once or twice a month. 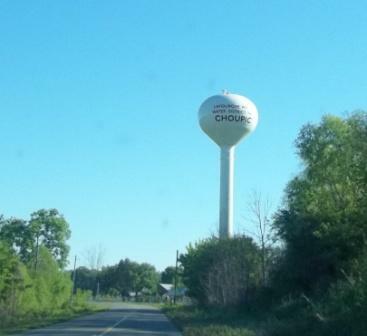 We headed east from our house, driving through the small communities of Choupic (pronounced shoe-pick), Chackbay, and Vacherie (vash-a-ree) to get to River Road. This is a sugar mill we passed on our way to Choupic. Sugar cane is one of Louisiana’s endangered industries. At one time, there were more sugar cane fields than neighborhoods, but over the years, more land is sold for development. Sugar cane mills are slowly going out of business due to population growth and imported sugar. Then we were in the community of Choupic and Chackbay. Every year they have a Gumbo Festival, but I think we missed it. It’s a pretty area with lots of traditional Acadian style homes and cypress trees. If you ever get the chance to visit the area, you should take the back roads since they provide you with plenty of things to see. 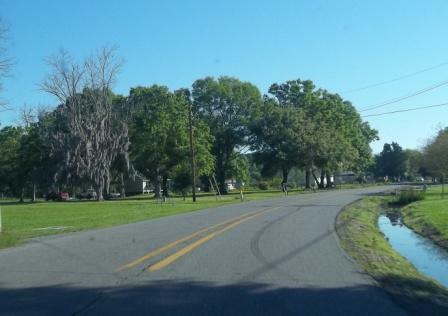 Next we headed for River Road, which as most people know is where the big plantation homes are. We didn’t do any tours, but we did take as many pictures of the homes, public and private, as we could. We actually passed on taking a picture of Oak Alley Plantation since they were having their festival and a race. The traffic wouldn’t allow for a stop and shoot (of the photographic kind). I think Oak Alley is popular enough though, that you’re not missing out. 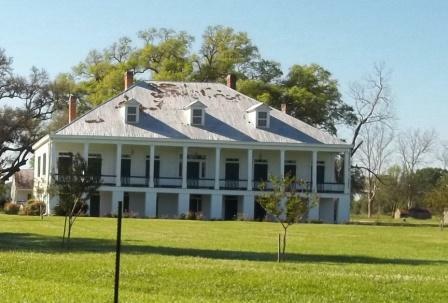 This is, I believe, St. Joseph Plantation. 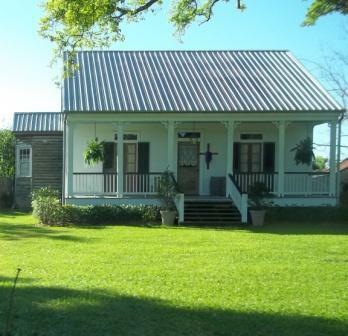 This home is just before Oak Alley if you’re coming from the south. Apparently the home is still part of an active sugar cane farm and tours are available. We followed River Road for several miles before taking a small break at the foot of the Sunshine Bridge. The Sunshine Bridge, named for Louisiana Governor Jimmie Davis, was the only bridge across the Mississippi River between New Orleans and Baton Rouge. Unfortunately, it emptied into a swamp. I remember one of my college professors telling us that before the Sunshine Bridge was built, the East bank of the Mississippi didn’t have Nutria Rats. This is a nutria rat. No, we didn't see any on our trip. It just goes to show how winding the Mississippi River is. So that’s the first part of our road trip. I have several more pictures during our trip to Donaldsonville, Louisiana and further north, but I don’t want to crash anyone’s machine. I’ll pick up the story again tomorrow. Hope you’ll stop by to see more pictures! What a week. It wasn’t bad or anything, I just did a lot. Well, sort of. I mean, Monday I meant to write, but I distracted myself by buying a Kindle Fire and spent all of my writing time dreaming of the day I’d have it in my hands. Then I got my cover questionnaire for You Bet Your Banshee, filled it out and sent it back. On the same day, I turned in the first round of edits forImmortal Love. That was a good day. I’ve been updating my website all week long, mostly because I forgot how to add an internal page *cough* even though I’d done it only a couple of weeks ago. Yeah, I can remember things that happened years ago easier than I can things that happened a month ago. Go figure. I really don’t have anything else to report. Unless I talk about the weather, and when that starts happening, you know the blog is going downhill. I’ll just get to the good stuff instead. Dirty, tattooed man in chains. Can you hear me singing “And these are a few of my favorite things”? If he has a few piercings (it doesn’t matter where *cough*), he’d be perfect. Herro, nurse! Heh. I didn’t talk much about Pensacola, other than to say I had fun. I had to rest from the trip and then I had work to do for my upcoming books. It’s only now, when things have calmed a bit that I can relate something that made me crack up. My mom came with me for this trip. She’d never been to Florida before (which is kind of astounding since she’s been pretty much everywhere else) and when she found out I was going to Pensacola, she was so there. She was packed two days before we left, had bought snacks and drinks for herself, a bathing suit, and a huge book. She also had this insane plan to sneak over to the hotel next door to use their hot tub. Luckily she didn’t. I really don’t know what I would’ve done if she’d been arrested. Maybe leave her there for a little while to ponder her criminal activities. The entire drive over, she kept urging me to drive faster. “Faster! I want to get there now! I’m your mother and I’m telling you it’s okay to speed.” Yeah, I chuckled over that. But it was Saturday that made me crack up. Before I get to that though, I have to explain something about my family. We’re the most ungraceful people you’ll ever meet. My mom has fallen down our stairs more times than I can count. She hasn’t hurt herself too much and she always laughs hysterically at herself, but yeah, she and stairs do not mix well. Then there’s my uncle who has the unfortunate habit of falling off of anything he’s standing on. Three story scaffolding to work on his house? Yeah, he knocked out the wrong support and fell. And that’s only a mild taste of our lack of grace. So it should come as no surprise when on Saturday morning Mom told me she was going to walk on the beach, I had a moment of panic. I warned her, “Be careful. Don’t fall or hurt yourself in any way, okay?” Of course she gave me a look I’m sure I’ve given her several times in the last thirty some odd years and promised to be careful. She went off, happy to be seeing blue water and white sand. Hours later, after workshops and lunch, I went up to the room and that’s when I learned she didn’t follow my directions at all. Well, okay, it wasn’t that bad. It seems she tiptoed her way down to the water to put her feet in. A wave met her advance and almost knocked her off her feet. She swears one leg went one way and the other went another way. She almost fell, but managed to catch herself. And naturally, a man passing by saw it happen and laughed hysterically. She didn’t end up in the water, but my writer’s mind keeps thinking how funny it would’ve been. I can picture it in my mind and it makes me laugh. Because when Mom falls, she’s very loud. She lets out this scream that makes you think something horrible has happened, but it’s really her laughing at herself. Ah well. Mom made it through the rest of the weekend with no further mishaps. I’m sure Pensacola breathed a sigh of relief when we left the city limits, but be forewarned, Florida. We’ll be back.